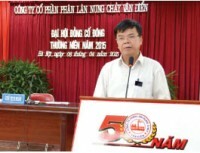 (VEN) - Mr. Duangdej Yuaikwarmdee, Deputy Managing Director and General Manager Vietnam of Reed Tradex Co., Ltd. said that according to Prime Minister Nguyen Tan Dung’s announcement at the recent Business Forum 2014, Vietnam aimed to reach 6.2 percent gross domestic product (GDP) growth in 2015. Policies and laws by the government are gear towards the country’s industrial productivity and competitiveness that will attract more foreign direct investment (FDI). 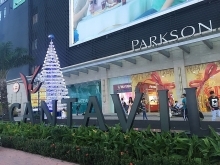 In addition, the Industry and Trade Department of Ho Chi Minh City has said in a new report that more support should be given to several key industries to help add value and increase the localization ratio of exports, the department urged the city to develop incentive policies for support industries, especially for engineering, electronics and encourage local enterprises to use domestic technology, machinery and materials; also provided capital, business space, information technology (IT) application and re-investment for new technology. In the near future, the city plans to give priority to increase exports that have special advantages, including high value-added and high-technology exports. It will also reduce exports of raw materials. Support industries will be set up in high-tech parks, new export markets will be approached, and more worker training courses are also part of the city's plan. As for exports, the proportion of technology, processing and manufacturing industries comprise 68.26 percent, more than the city's target of 62 percent by 2020. On a national level, it is 58.5 percent. The proportion of four key industries in Ho Chi Minh City to total industry increased from 54 percent in 2006 to 59.4 percent in 2014. 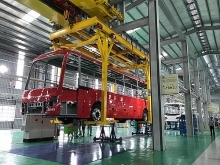 “With constant of foreign investment articulate Vietnam’s manufacturing and supporting industries is stronger than ever. We taking this opportunity to advance the industry by METALEX Vietnam will be the platform for all metalworking solutions, encouraging more than 10,000 industrialists to invest the technology of metalworking and machining tools. In addition to machines, the show will incorporate a wider range of international pavilions among the 500 leading brands from 25 countries to showcase only the best of the best at the show,” Duangdej concluded. This October, "METALEX Vietnam 2015" - Vietnam’s International Exhibition on Machine Tools & Metalworking Solutions for Production Upgrade – 9th Edition, will again place technology owners to demonstrate widest range of tooling machinery and metalworking technologies that will sharpen buyer’s competitive edge for the future challenges. Together with co-located of “Vietnam Electronics Assembly 2015”, International Machinery Expo for Electronic Parts and Components Manufacturing, will return to support growth of all production lines in Vietnam again. “METALEX Vietnam 2015” will take place from October 8-10, 2015 at the Saigon Exhibition & Convention Center (SECC) in Phu My Hung, Ho Chi Minh City, Vietnam.